As long as I can remember, I have always loved the idea of putting pieces together and make it look fabulous! Whether it was from the thrift store or some type of high end fashion….the creativity of taking something and making it work with my style and personality has always been joyous to me! As many of you know, part of my ministry is to inspire and empower women of all ages to look and feel fabulous- spirit, soul and body! That’s why I started my fashion blog. I encourage women to dress themselves up…to keep it classy and sassy and be ALL that God has called them to be! Now, I am so blessed to rock clothes from my very own boutique! For years, I have worn clothing from others. Now, I can wear my own clothes, and if someone likes it, I have the pleasure of offering them Trish M Fashions!!! 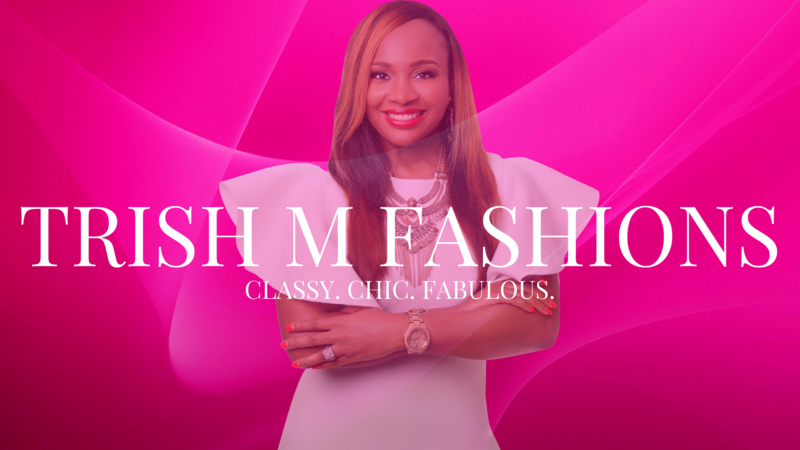 Stay in the KNOW on the latest styles and trends coming to Trish M Fashions. We have something for all women. No matter the shape or size, our goal is to have you feel absolutely FABULOUS no matter what! Click here to check out what’s new at TRISH M FASHIONS.